Welcome and Thank You for taking the time to browse my profile. The 'therapist fit' needs to 'feel right' for you. Each one of us are completely unique individuals, essentially therapy needs to be tailored to each persons specific needs to work best. From my therapy service you can expect a safe, non-judgmental space to talk about difficulties along with consistently high standards of care, professionalism and confidentiality. I have a wealth of experience as a Counsellor/Psychotherapist within a wide range of health care settings including Nottinghamshire Healthcare in both Secondary and Primary Care, Improving Access to Psychological Therapy services (IAPT), Employee Assistance Programmes, MIND, University of Nottingham and Nottingham Trent University. I am a dual trained accredited Counsellor and Cognitive Behavioural Psychotherapist. 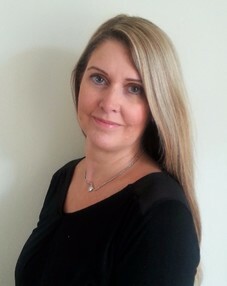 I am an experienced Clinical Supervisor in Counselling and Cognitive Behavioural Psychotherapy. My therapy rooms are based locally in the Mansfield area close to the town centre. The consultation rooms are discreet, comfortable and private with plenty of on-site parking.